FREE DOWNLOAD! Here's a remix that I made of my own song, Yes... a remix of my own song. I made this so I'd have something exclusive to play at this years SXSW and WMC shows and it went down great. Now that the festivals are over, I figured I'd pass it along to you guys. 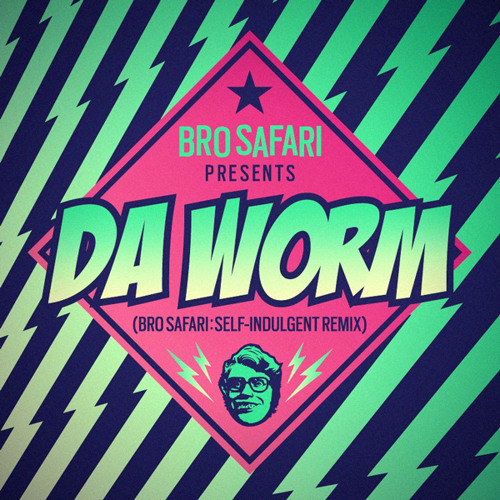 "DA WORM" originally appeared on Mad Decent's newest imprint, JEFFREE'S! Comments / Favorites are greatly appreciated! Big thanks to everyone for all of the support! If you want, you can catch me live at any of the dates below. Thanks again! - Bro Safari March 27th - ATLANTA @ Centre Stage - w/ Feed Me & Kill The Noise & Street Lurkin' March 29th - KANSAS @ Midland Theatre - w/ Feed Me & Kill The Noise March 30th - MINNEAPOLIS @ The Brick - w/ Feed Me & Kill The Noise March 31st - EDMONTON, CA - Act A Fool 2 w/ 12th Planet, Nick Thayer & More April 1st - VICTORIA, CA @ Upstairs Cabaret April 5th - AUSTIN @ Speakeasy (Rooftop) w/ DJ Craze, Jay Fay & More April 11th - DENVER @ Ogden Theatre - w/ Feed Me & Kill The Noise April 12th - SALT LAKE CITY @ The Complex - w/ Feed Me & Kill The Noise April 19th - LOS ANGELES @ Fonda Theatre - w/ Subfocus & Kill The Noise *NOTE* - Check back to this URL sometimes, as I've been known to re-upload newer mixdowns/versions of songs in the past!